It’s something I should probably not be writing about. and I’d love to hear your feedback if that’s indeed the case. simply send me email and I’ll send you the link via email. Sponsors of this year’s annual CaribHRForum’s electronic survey expect to reach over 3000 Human Resource Professionals across the CARICOM region this year, easily becoming the most wide-spread effort to gather information from a single profession. 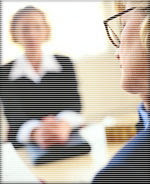 The 2008 survey which was released on Monday September 15th, 2008, focuses on the single topic of regional HR conferences and the role they play in bringing together HR professionals. It is being conducted by a volunteer team at CaribHRForum, the online forum that was formed in 2003 by Francis Wade, a management consultant who recently moved home to the Caribbean. CaribHRForum, with over 200 members, is the largest professional networking group of its kind that is built on cyber-services such as a discussion list, a blog on CaribHRForum.com and a news ezine – CaribHRNews. conversation on the industrial relations climate in the region is still generating some sparks after more than a week,” said Wade. It was another hot conversation on CaribHRForum that provided the theme for this year’s survey. While Jamaica has the largest conference each year, with some 500 participants, there are other territories in the region that don’t even have an organization formed. Many are unaware that conferences and organizations like CaribHRForum exist and end up practicing in isolation from their colleagues. In an interesting article entitled Can Freeconomics Work in African Markets? [Part 1] by Jonathan Gosier, the author makes the point that African business people are learning the value of giving away items for free in order to gain customer loyalty. It’s as if he were describing the Caribbean. He talks about how tough economic conditions lead business-people to a short-term, gimme now mentality, that works against their success. I am launching a message board for everyone who has received the e-book, to act as a place for Caribbean professionals to meet and greet others who are also interested in expanding their networking skills. http://fwconsulting.com/newnetworking and you will receive the instructions a few days after receiving the e-book. 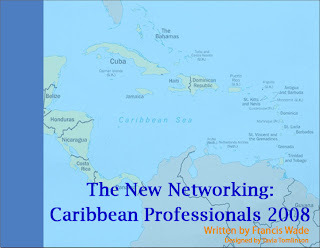 I want to remind you that my e-book “The New Networking: Caribbean Professionals 2008” is still available for download for free. Simply visit the following page and you can claim your own electronic copy within a few minutes. You’ll be joining over 200 other Caribbean professionals who have requested the e-book. Thanks for being a part of my network! P.S If you act quickly, you might be able to take advantage of a free offer I am making to take my 12-week online time-management programme valued at over US$50. The offer expires at the end of September, and will be sent to you 3-4 few days after you receive the e-book. I am limiting the number, so act quickly if you have an interest. I just came across an interesting article describing a survey showing that 40% of job-seekers say they lack the networking skills they need to find a new job. Not surprisingly, hiring almost all managers agreed. We sent you this Digest because we believe that you have an interest in topics of interest to Caribbean executives. Please pass it on to others who would appreciate the information it covers. To discontinue receipt, see instructions at the bottom of this edition. This issue addresses the skill of networking here in the Caribbean. What is the downfall of having a networking that hardly extends beyond national boundaries? 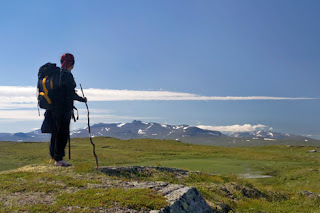 What is the benefit of having one that is not just large, but is also far-reaching? The New Networking (e-book): Click at left… just in case you have not received my free 37 page multimedia text on the new way to use the internet to build a Caribbean network. If you have already claimed your copy, use the form on the page to tell your friends — after all, sharing solid information is one of the easiest ways I recommend you use to build your network. CaribHRForum (discussion list): CaribHRForum is a discussion list for HR professionals that has almost 200 members, and acts as the sole meeting place between conferences held twice a year. Click the “Join” tab to see the easy instructions on how to join the list. Google Yourself (search): Go ahead — see what is being said about you on the internet. I was startled to find that I had been rated quite poorly by an anonymous disgruntled, former student. Apparently, a namesake of mine was also indicted for stealing (pick-pocketing) in 1832 on April 10th (my actual birthday.) Click here to see the proceedings. My point here is that someone out there is defining who you are for the world, and this might be helping or hindering your ability to network. Read my networking e-book above to see what you can do about this recent fact of professional life. 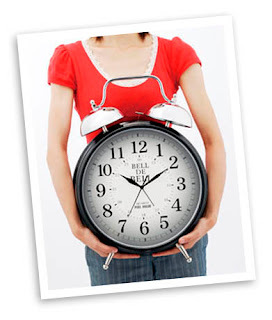 There’s a great deal happening at my time management website: http://2time-sys.com. Click here to be taken to the blog page. The Framework One-Page Digest is produced bi-weekly by Francis Wade of Framework Consulting, Inc. and is intended to provide E-level managers with a reliable source of new ideas for managing Caribbean companies. Visit http://urlcut.com/digest and follow the instructions to subscribe to the One Page Digest. Past issues can also be found at http://urlcut.com/digesthome. You are receiving this mailing because you are listed as a friend of Framework Consulting. To remove yourself from this mailing, send email to francis@fwconsulting.com with the words REMOVE in the subject line, or visit http://urlcut.com/digest. To ensure delivery, add fwconsulting.com to your address book as an approved sender. The Jamaican proverb “Every Mikkle Mek a Mukkle” summarizes a powerful idea that Caribbean executives would do well to contemplate. I have observed that we have many companies in the region founded on great ideas, and possessing wonderful goals. However, when it comes to the minute details of execution, our grasp far exceeds our reach. For example, I have stayed in many hotel-rooms across the region, but very few are able to provide the kind of details in their infrastructure that are the signatures of an excellent company. It might be the cracks along the ceiling, the uneven floor, the cement left along the grouting or the broken chair in the room. In restaurants, it’s the filthy restrooms, the scuffed walls or the beaten up menus that have twice as many items as the restaurant actually has available. In many companies, you call to do business with them and the phone just rings and rings without an answer. When they occur, none of these cases is a “deal-breaker” that could cause one to leave and seek lodging or a meal elsewhere. Instead, we get used to the low standard, as our companies continue to “train” their customers to expect no better. In a prior issue of FirstCuts, I spoke about the way in which employees of companies in our region give each other “blighs” (allowances) that allow poor standards to continue, because it’s simply easier to overlook seemingly small issues rather than to confront them. I also wrote about how Caribbean managers could improve their time management skills, and how executives could work to restore promises that have been broken in the past. While these may all seem to be small issues by themselves, the cumulative effective is tremendous. Companies struggle for reasons that they cannot pinpoint, and are incorrect in thinking that a single bullet fired at the right spot will cure all their problems and move them to higher performance. Instead, they must learn to inspire their workers to devote themselves to individual, private, invisible excellence that may never be publicly rewarded. An old-fashioned mechanical clock is a useful metaphor. There is no way for a clock to keep proper time if a single cog is out of alignment with the others. It might add or take away a small fraction of a second each day, but the overall effect is that it renders the clock ineffective, as reflected on its face. The success of what shows up on the face depends on what happens with the moving parts inside, and this is what managers seem not to grasp. They allow seemingly “small things” to accumulate into big problems, and by the time the big problem is fully experienced, many simply give up. It’s up to them to lead the way, by example, and demonstrate that being professional means to tend to every task with a kind of dedication and excellence that is often missing.